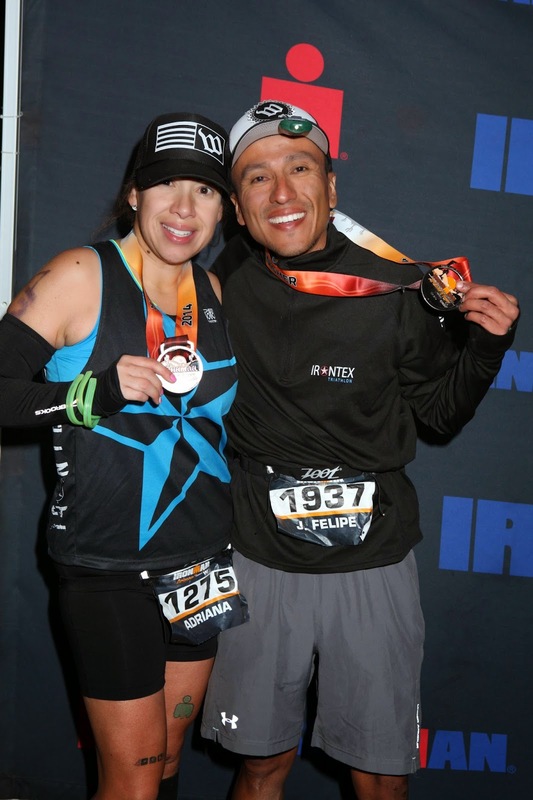 It's been a couple days since our epic IMAZ, a week and a couple of days to be exact and while I've written this report and posted it on our Team's page it wouldn't be complete without being posted here. Res already posted her review on her blog and you can go read it here . While our counts are very similar, both are always unique as we each have different views and all that goes through our minds in different through the day. Let's start by saying it has been one of the toughest one of all 3. I know we've had our share of tough ones, from broken bones to mechanical failures. This one was hard but couldn't have asked for an overall better day (I know doesn't make any sense)... Well maybe less wind and we will spare the details for later. We started this journey a year ago when we volunteered all day by catching bikes and pointing runners until the last runner was taken out of the course at the 17 mi cutoff. It was an awesome journey, after 2 140.6 in a year we can say that while it wasn't easy it definitely wasn't impossible. We both had our goals set for each one of our big races and we had big dreams but we weren't going to let our race day(s) be ruined by any setbacks we could encounter and we would make the best out of it regardless of the outcome. If we have learned something about racing and long distance racing is that you can plan the perfect race all you want, but you have to adapt and make changes as you go. Of course, changing or adapting doesn't mean that we would not try our hardest out there but circumstances change and you simply adapt and keep moving forward. We left home on Wednesday with a short stop overnight in El Paso. Ended up arriving to Tempe at around 2 pm on Thursday. So we were able to check-in at our hotel, dropped off the bikes and went to the Ironman Village to do the athlete check-in. 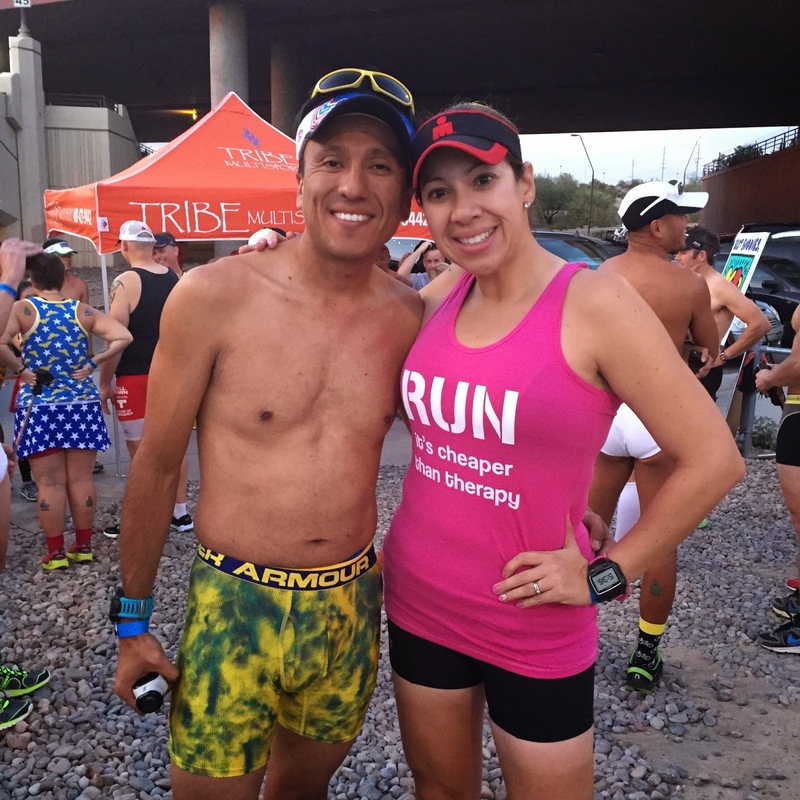 Before we knew it, it was 5:30 pm and we had planned to do the Tribe Multisport Store Underpants Run. It seemed like something fun and we had a blast along with other 100 people. Fundraising about $1000 for a local charity. It's always good to give back. We went early to a yoga/stretching session that a guy from the Arizona 2014 FB page had setup. He was pretty amazing as he was going through chemo the entire training and still toed the start line with us. We did that, kinda took it easy afterwards. Then we went to the Tribe Multisport annual party. It's a pretty cool event. 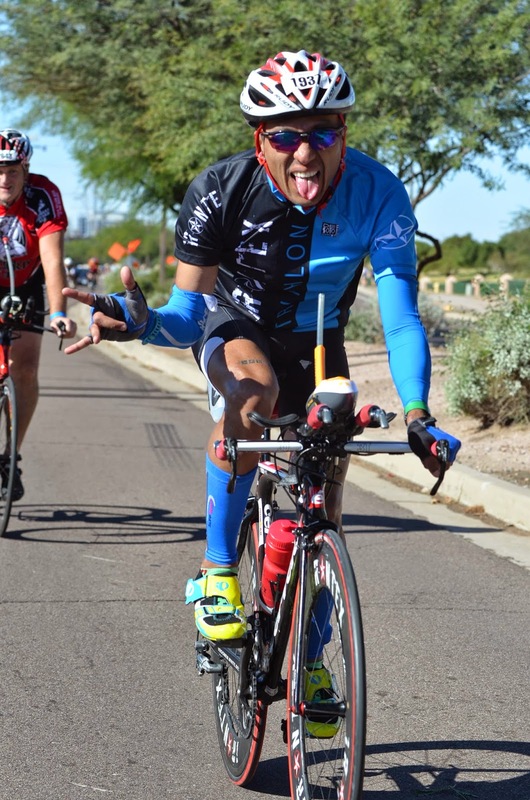 Got to talk to a couple pros and enjoy the tri community in the area. Highly recommend it. After that we went to dinner with Suzy, John, Herb and some friends we met through the Arizona 2014 FB group and then back to the hotel to pack the bags. Early morning swim, was pretty good. Water didn't feel cold so we decided it was going to be a sleeveless swim, with a short spin after it. Then it was to the typical bike checkin, bag drop offs and heading back to the hotel. We wanted to rest since it had been a couple of intense days. No much rest on the legs. We didn't really do much from 3 pm until race morning. Fixed nutrition, got dinner takeout and off to bed we went at 8:30. The day started pretty early. 3:30 am the alarm went off. We wanted to be out of the hotel by 4:15. So it worked out great. We made it to parking at the US Airways Building parking garage by 4:30 and had an awesome spot. That's a tip for future participants it is free. However make sure you don't leave your bike outside on your rack even if it is secured. 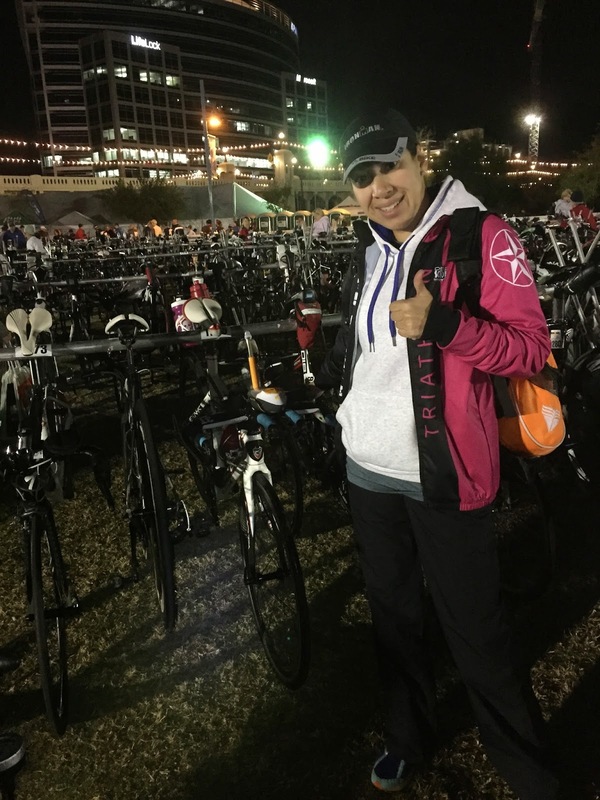 There were a few reported stolen bikes from athletes. 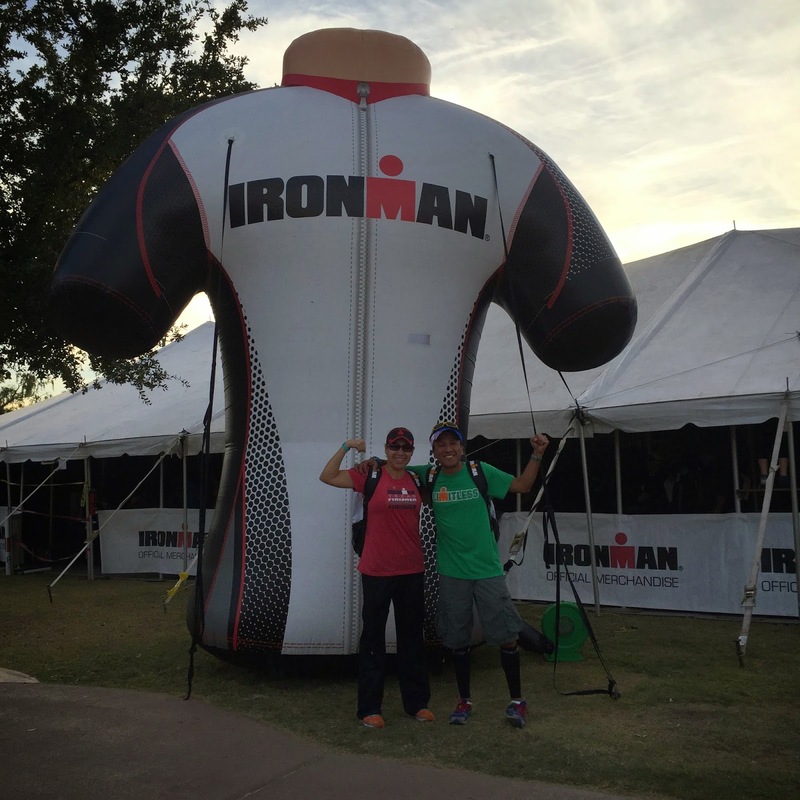 If you haven't experienced the morning of Ironman it is a very surreal experience. There are athletes everywhere, if you have a pump you are everyones best friend, you try to remain calm but nerves crawl up, typically I put my headphones on and try to avoid talking to anyone other that Res. A lot of times we don't even talk, we know exactly what we need to be doing, I pump air while she loads nutrition and fixes the bikes, we got a system down and it works. This time wasn't any different, we stayed calm, I think I was listening to Pitbull for the most part, keeping my mind in a festive state. 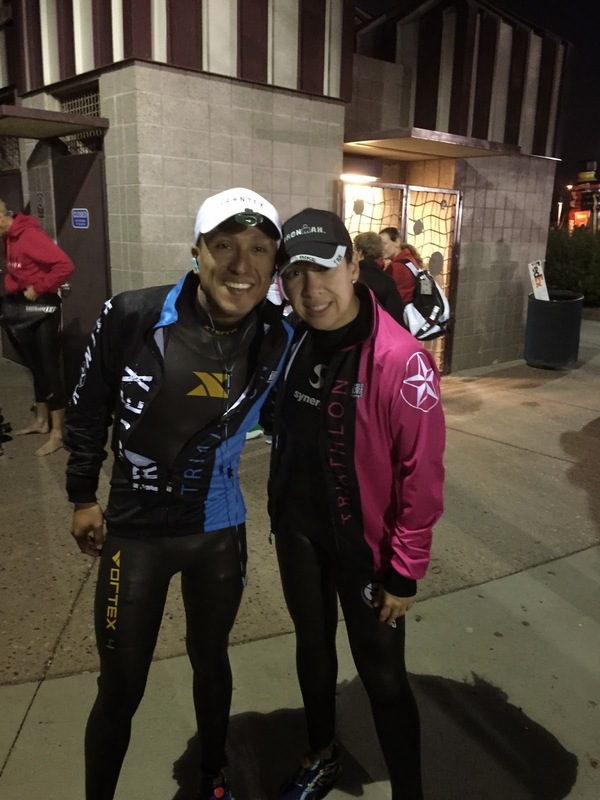 We got our wetsuits on and then we walked to the swim, seemed like everyone wanted to get there at once, we heard the cannon for the male pros, women pros, and then we were able to slowly hit the water. We located our selves around the middle. The swim had a few spots of full contact but nothing too bad. Except for Res that she had someone come after her after she hit a lady in the middle of the chaos without intention. I guess some people can't let go sometimes. It wasn't like she had planned to hit her, you can get the details on her post. When you are with 3900 of your closest triathlon friends, expect contact, that's all I have to say. Our swims were pretty even, within 1 minute of each other. We both PR'ed our swims by a lot. We went into transition and looks like we left transition within a minute or so of each other. up to 30mph. After fighting the wind for so long you go into your mental mode of fighting every quitting thought that comes across your head. Seeing Res on the way up each time gave me the boost I needed to do it all 3 times, also for her seeing me go down while she was into the wind was encouraging that at least there was a break coming up. So the bike was hard, would've I done anything different? Maybe not push as hard on the way up on the first loop, but it was hard to tell what it was going to be easier or worse later. We were fortunate to not have any flats or accidents, there were plenty of those around. People getting up to 4 flats. Since the wind was blowing sticklers around they were just all over the place. 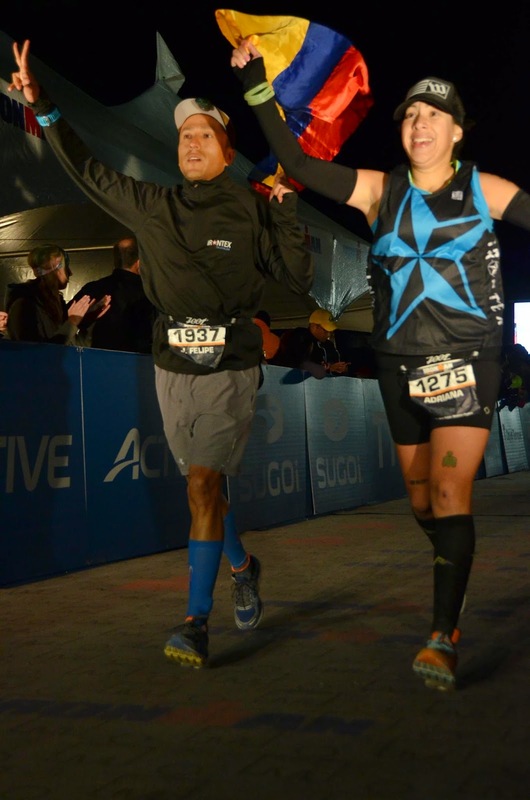 Definitely seeing our Sherpa at the turn around in Tempe was pretty awesome. A familiar face before we go through the wind tunnel. I have to say seeing the pros looping us around and passing us like if we were standing was amazing, got to see a good group of pros going up and they were doing easily 20 mph up hill into the wind while us mere mortals were simply grinding our granny gears pushing 12 mph. The girls were as good too. The only bad outcome of the bike was that I guess there was so much sand being blown with the wind that I had gotten something stuck in one of my eyes and I had a bit of a glare for about 100 miles that with the sun didn't really help. Note to self pack some visine next time. Run... If you can call that a run, I got off the bike and knew I had a little left, not as strong as I had been feeling during training. 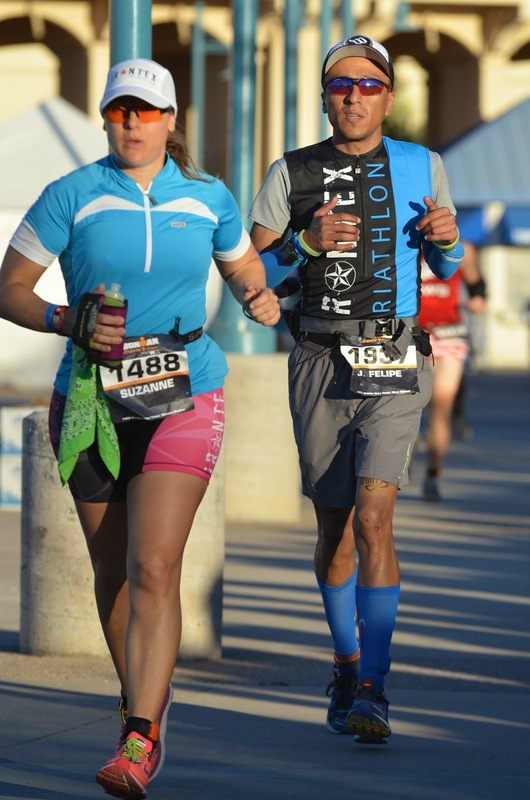 I got out of transition pretty quick, and saw Suzy out too, which surprised me because I had caught up to her before the start of our last loop but I guess she must have passed me on my many pee breaks (still haven't mastered that skill). we jogged/walked the first 5 miles but I faded quickly, and started walking. Simply couldn't keep jogging, hamstrings were just killing me at that point. I knew Res wasn't too far, maybe 2 miles and getting closer, well... She caught up to me at mile 15. From there it was a let's drag each other because we are so close type of deal. The aid stations were pretty good, tons of energy. Even though there were a few spots where it was hard to get through as it was dark and lonely. Having Res at that point made heck of a difference. We saw Herb at mile 24 and then told him we would see him in 25 minutes at the finish. We went back to town and started jogging. what we had left. Pulled our flag and went to the finish line. It's always amazing to finish and when we finish together and we are getting pretty good at it. We definitely wanted to thank everyone for the messages through the day but special thanks to our Sherpa crew for hanging out there all day. We have to say we that we have the most amazing teammates and Sherpas that anyone could ask for. Like I said at the beginning no matter what the outcome was, we are happy on how our day went, didn't have any accidents or burned feet and the day went pretty smooth. Of course it was challenging but I think that regardless of how much physical strength or preparation you have your day will throw curved balls at you and you have to adapt and accept the circumstances. The days leading up to it called for a light breeze and the night before they called for heavy winds... Just wasn't expecting them on our face that long. Other than that, it was a successful day, I managed to stay upright on the bike even with that wind which is always a plus. Caught on camera.... sealing our finish line with a big KISS!!! For now we are off to a well deserved rest after 11 months of constant training, also we will use the next couple of weeks to do our packing as we are moving back to the East Coast.... New York here we come!.... more details coming up. 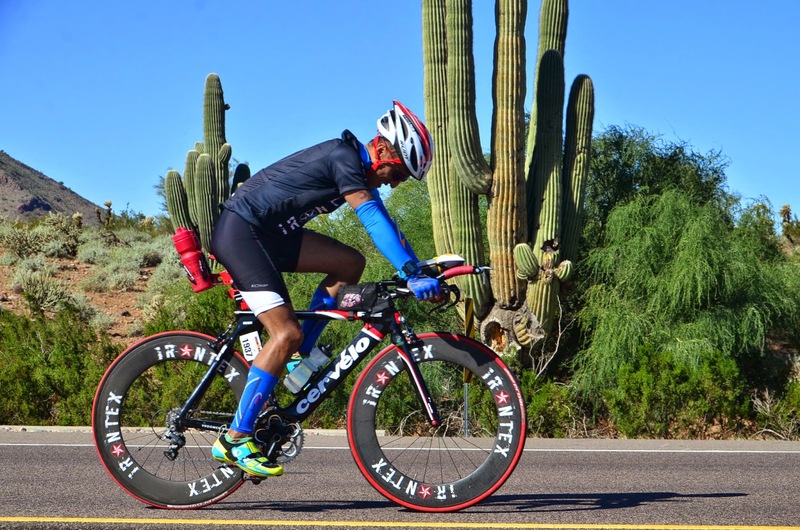 15 days to IMAZ... Bring it!